Tickets are on sale from Tuesday 2nd April and can be booked from Gig Cartel and from the 24-Hour Box Office: 0844 478 0898. That impression is doubly emphasised in the video for the album’s first single, Bomb Through The Breeze (currently playlisted on Planet Rock) It’s a hurricane of swirling colour interspersed with spare shots of Wicklund and her band in action, with black bunnies and slithering snakes adding an eerie visual complement. 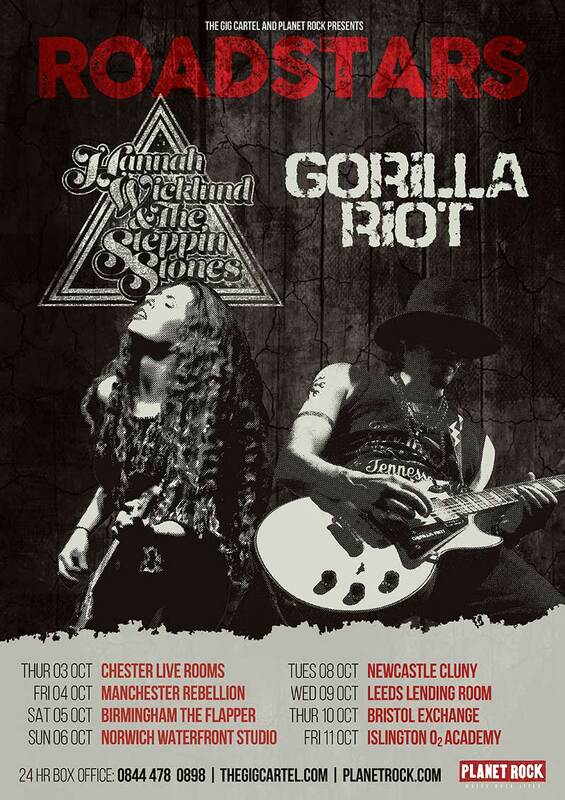 A special guest on Joe Bonamassa’s Keeping the Blues Alive At Sea Mediterranean Cruise in August, the Planet Rock Roadstars tour in October will be Hannah’s first major co-headline tour. The future’s looking bright for Hannah Wicklund And The Steppin Stones.